Veterinarians require specific features when using a microscope. High quality optics are essential for viewing parasites, cancerous tumors, bacteria, blood cells and other specimens. 400x magnification is used regularly, although 1000x magnification is utilized as well to view more details in specimens. Most veterinarians prefer a Siedentopf binocular head, for eye comfort while looking through the microscope. Digital microscopes are generally useful in a vet office, as samples can be labeled, saved to a chart, or emailed. 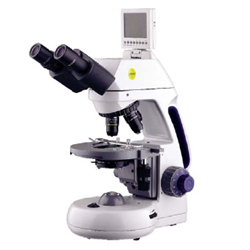 You can view veterinarian microscopes here.